Rep. Steny H. Hoyer was elected by acclamation as majority leader of the House of Representatives this week. 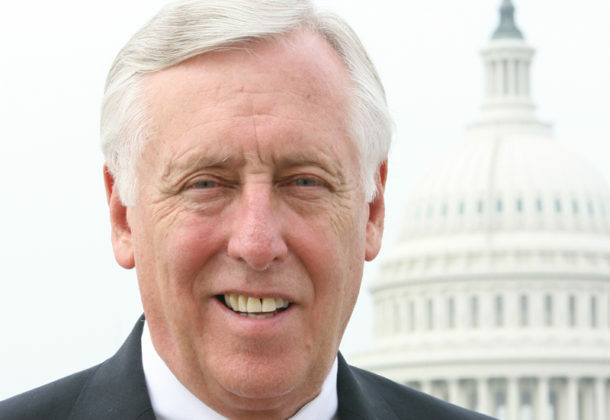 After being elected, Congressman Hoyer (D-Md., 5th) released a statement saying that he was honored to have been chosen by his Democratic colleagues in the House. Hoyer said that, as majority leader, he will continue his effort to empower the next generation of leaders in American government. There is a fresh, energetic freshman class in Congress, and Hoyer said the entire House will benefit from the mix of new perspectives and experienced leaders. “Over the next two years, Democrats will show the American people our vision for the future. We will demonstrate how our nation can move past an era of dysfunction and chart a new course forward,” Rep. Hoyer said in the release. Hoyer was nominated to be the majority leader by Congressman Elijah Cummings (Md., 7th) and seconded by Congresswoman Stephanie Murphy (Fla., 7th), Congressman Jamie Raskin (Md., 8th), Congresswoman-Elect Veronica Escobar (Texas, 16th), Congresswoman-Elect Deb Haaland (N.M., 1st), and Congressman-Elect Ben McAdams (Utah, 4th).